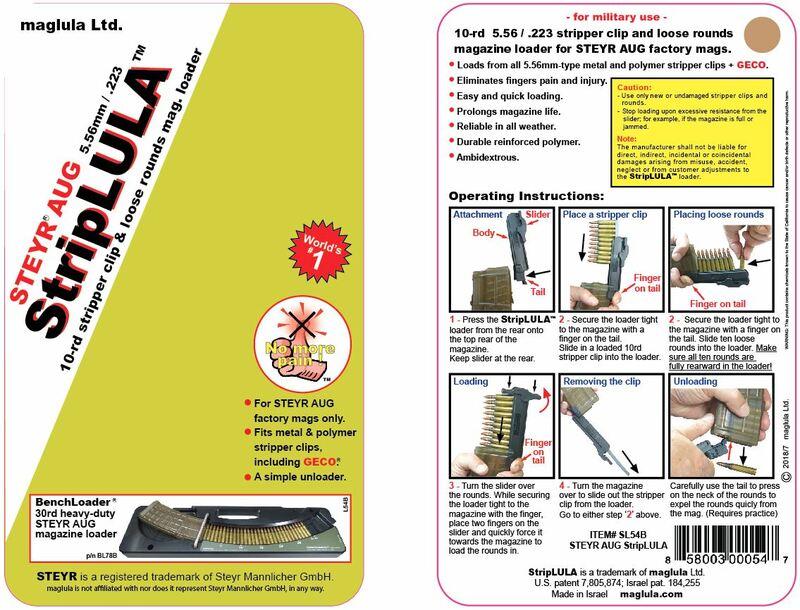 STEYR® AUG 10-round StripLULA™ magazine loader for all 5.56 / .223 metal and polymer stripper-clips, including GECO gray strips, and loose rounds. Loads both 10-rd stripper-clips and 10 loose rounds. 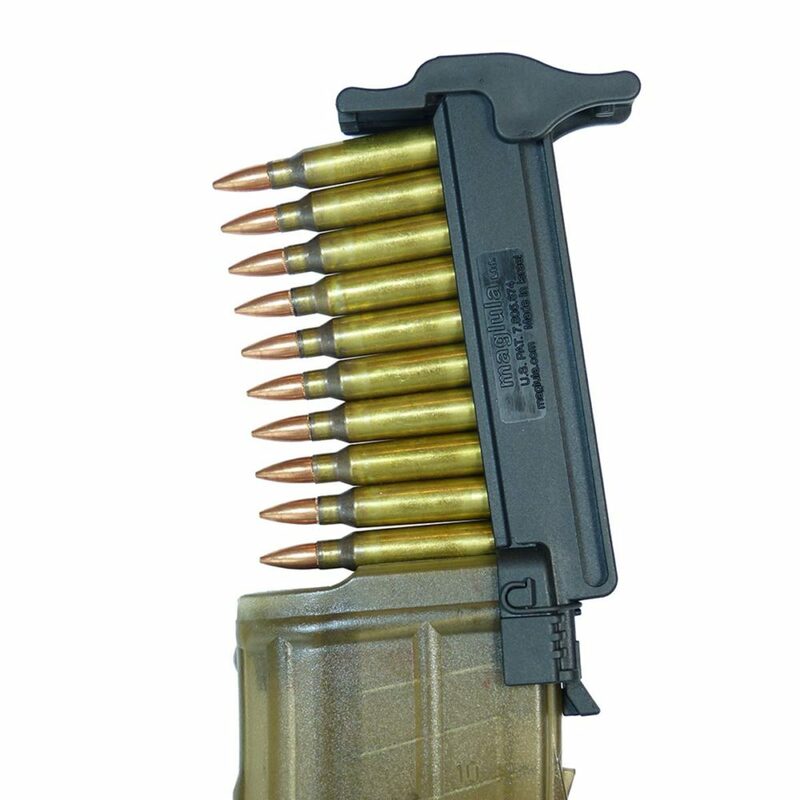 Loads 10, 20, 30, 40 round STEYR AUG factory magazines only ! 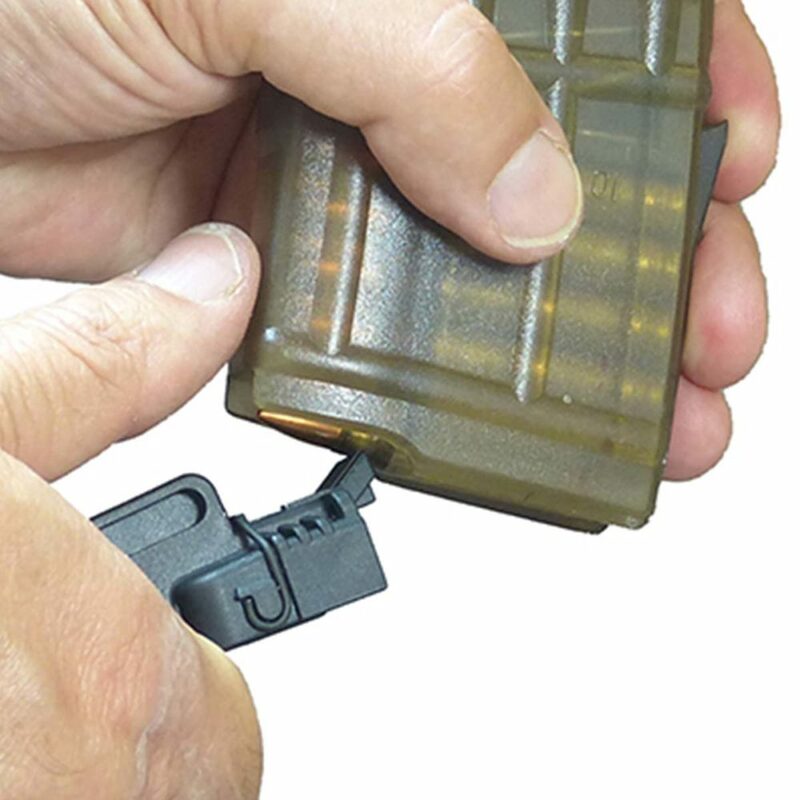 NOTE: This loader does not fit or load Magpul PMAG® AUS (30rd mag) or any other magazine. All-in-one 10rd stripper clip and loose rounds magazine loader. 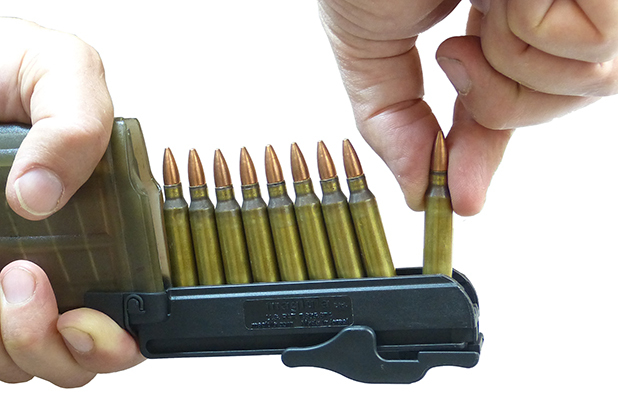 Fits all 5.56mm type stripper-clips, metal and polymer, including GECO strips.